This is a new and improved version of an old recipe with a plant based twist. 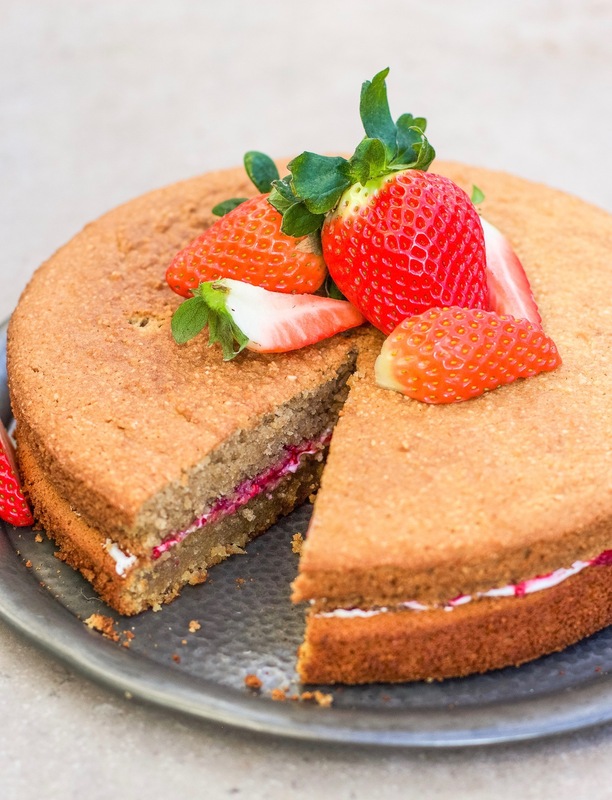 Victoria sponge is hard to beat, I just love the whippy coconut filling with the sticky jam and it’s perfect for celebrations. It’s gorgeous with some edible flowers on top too if you want to try that. Preheat the oven to 170’C. Add the chickpea water to a large bowl and use an electric whisk to whisk them on high until stiff peaks form, about 5-6 full minutes. When you have stiff peaks, continue whisking while gradually pouring in the maple syrup. In a separate bowl, mix together the ground almonds, oat flour and baking powder. With the whisk on medium speed, gradually mix in the dry ingredients. Grease two 8 inch cake tins with coconut oil. Gently pour the mixture into them, dividing it evenly between the two. Bake for about 50 minutes until each cake is golden and the edges are coming away from the tin. Leave them to cool completely on a wire rack before removing from the tin. When you’ve put the cakes in the oven, make the jam. Pour the mixture into a bowl and set it aside. When the cakes are cool, make the cream. Add the coconut yoghurt to a large bowl with the maple syrup and whip using an electric mixer for about 5 minutes until light and airy. 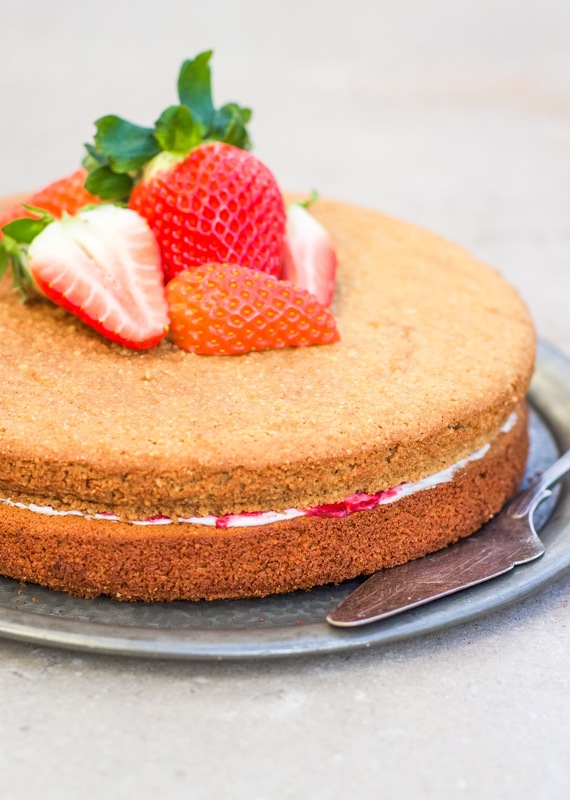 Spread the cream over the top of one cake, followed by a layer of the jam. Don’t spread them out all the way to the edge as they will spread out a little when the second cake it place on top.